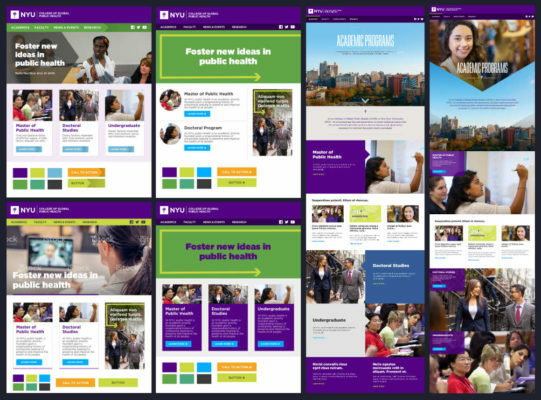 With the newly minted NYU College of Global Public Health (CGPH) website released into the world, I’d like to share the design process that helped make it a dynamic and engaging example of a higher education website. 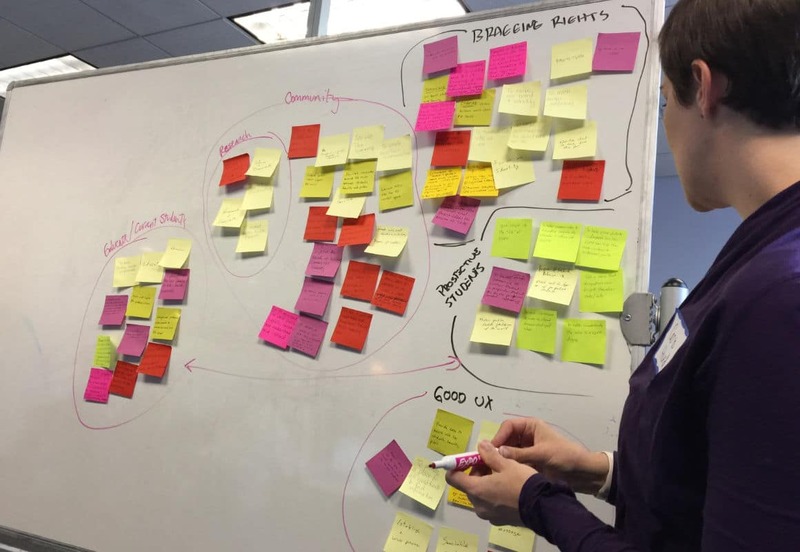 Everyone has their own discovery process, and ours involves a wealth of sticky notes and games. 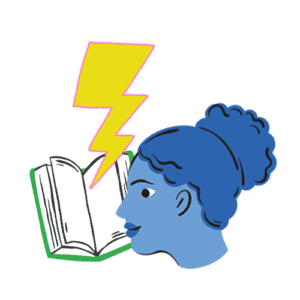 Games help get the blood pumping and creative energy flowing, which loosens everyone up so they can contribute more fully to discovering what’s need from a project. First, we identified goals. Everyone was handed a pen and stack of sticky notes and asked to write down goals for this project and for the college (CGPH). By not limiting ourselves to website goals, everyone got to see how they viewed CGPH and the website as a whole. After time ran out the goals were clustered into groups and key ideas started to take form. UX Director Caris Hurd leads the discovery process. 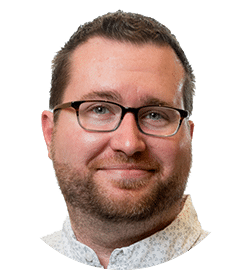 We worked our way through many more games: defining what success would look like, envisioning key personas for site visitors, sketching large wireframes of the homepage, and more. Each exercise helped to further clarify what everyone wanted to achieve with this project. The discovery process was hosted on-site by CGPH and by the time we wrapped up at the end of the second day, both teams—Four Kitchens and CGPH—had a shared understanding of where we wanted to go. Getting the design right was a number one priority. To get a better understanding of everyone’s design preferences, we sent out a questionnaire that helped inform our design aesthetic. This approach yielded keywords such as adventurous, bold, and innovative, while emphasizing a modern, almost magazine-style feeling. One of my favorite parts of the design process is working on setting up the visual language of a project by using style tiles. Each style tile is by itself a small set of choices—some harmonious colors, a font or two, and a couple of example widgets—working together to evoke a feeling and tone that aligns with the project’s goals. Communicating an adventurous and bold design, while still maintaining due respect for the institution, was a fine line to walk. We also had to consider the marketing requirements from the larger NYU property. This led to a long series of meetings where the team reviewed many style tiles with different levels of stakeholders. All of that hard effort paid off, because in the end we found the right aesthetic path for CGPH. Once we set a direction for the design, work began on the design brief. As a rule, Four Kitchens likes to move into code as soon as possible so that everyone can see what things look like live. 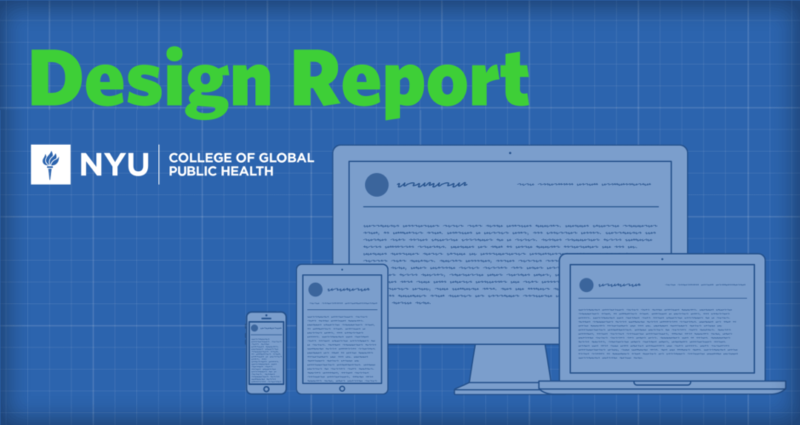 Our “design in the browser” approach means that comps are rarely a deliverable, but the CGPH project was an exception. We decided to create a couple of key pages as comps, namely the home page, a landing page, and a faculty page. These pages were mocked up in Sketch and synced into InVision for the team to review and comment on. Throughout the initial days of the design process there was a negotiation between a desire to be edgy and unique vs. a real need to create reusable components. Each time we made a new component we talked about how that pattern could be reused, or if a unique component added the right amount of value to warrant having it. In the end we had designs that pushed the envelope visually, components that were dynamic and reusable, and a team ready to move from design to execution. Working with the team at Four Kitchens was a collaborative process and resulted in a design we’re confident sets us apart from our competitors and resonates with all our key target audiences. 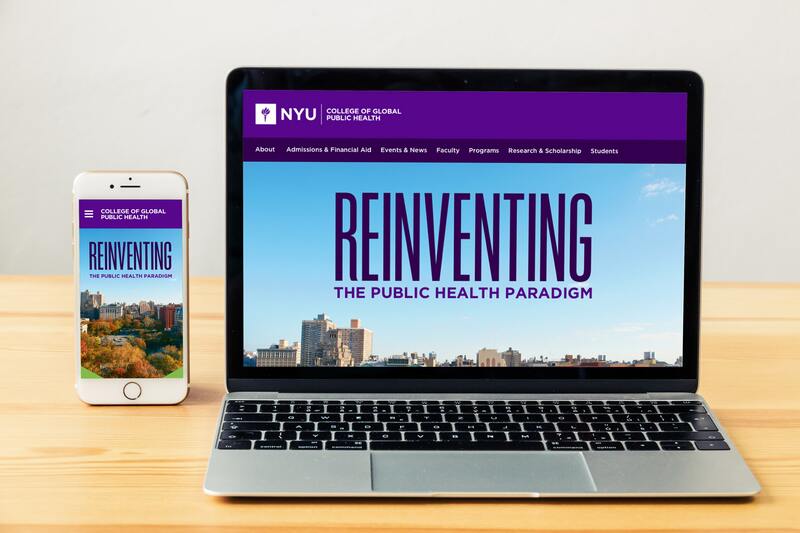 We set out with a goal to create something visually dynamic and structurally flexible, so that NYU’s College of Global Public Health could better promote themselves, and that goal was met. We’re excited to announce the launch of the new NYU Rory Meyers College of Nursing website.